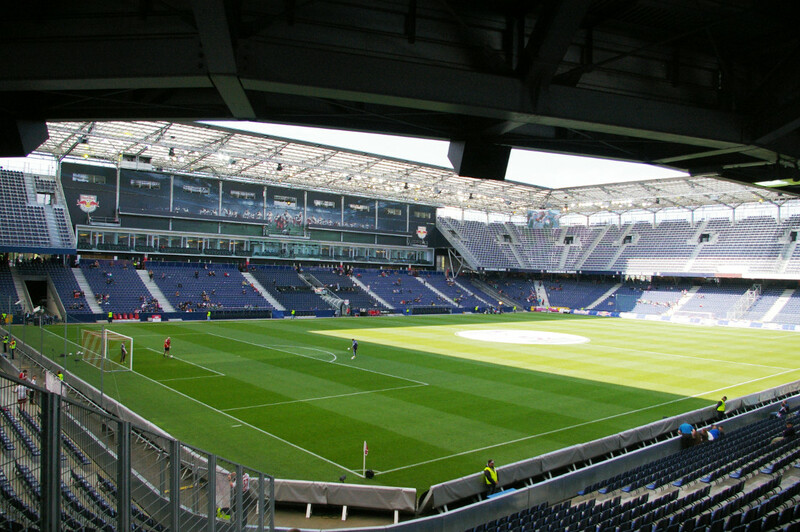 The Red Bull Arena got built between 2001 and 2003. 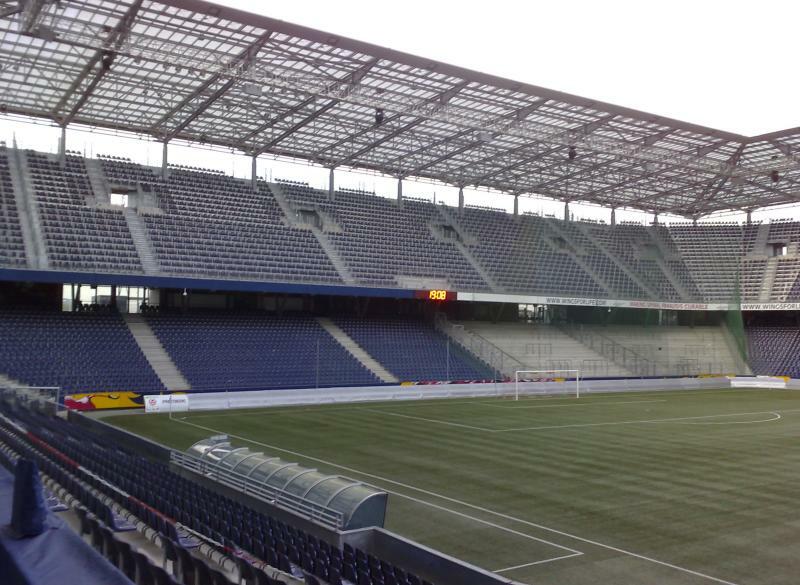 It opened on 8 March 2003 with a match between Wüstenrot Salzburg and FC Kärnten. 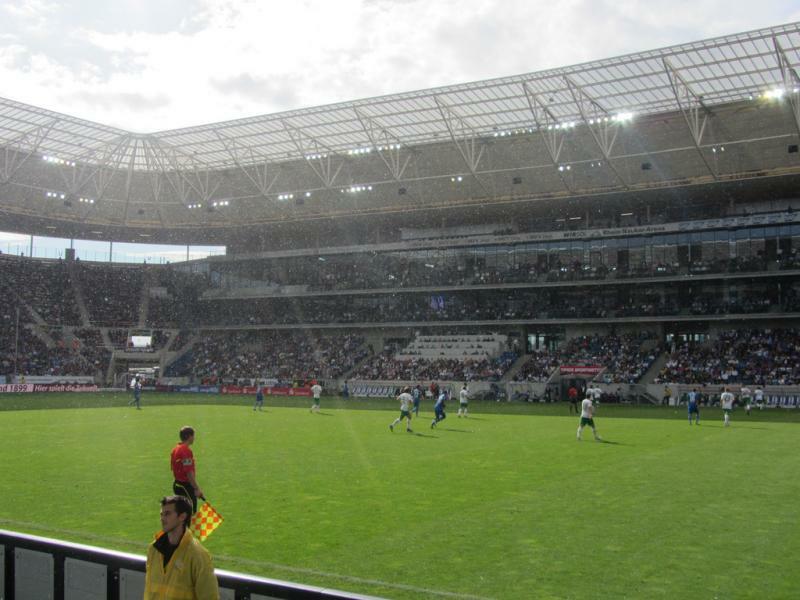 The stadium could initially hold 18,250 spectators. 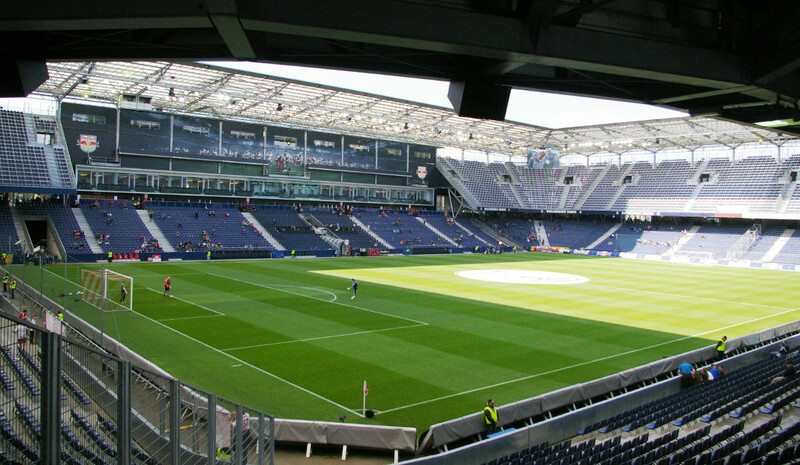 After the take-over of the club by Red Bull in 2005, the name of the stadium was changed to Red Bull Arena, and in 2006 works began to enlarge the stadium to a capacity suitable for the European Championships that were to be held inAustria. The first match at the expanded stadium was played against Arsenal on 25 July 2007. 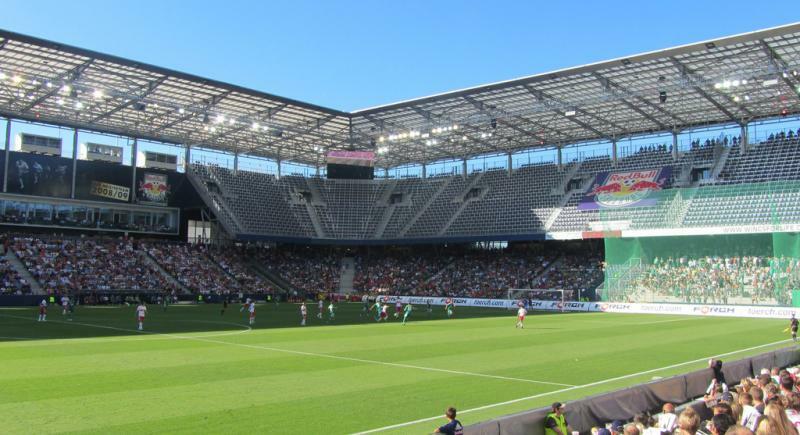 The stadium was initially planned to be converted back to its original capacity as this was promised to local residents, however after the tournament the club’s management decided to keep the larger stadium instead. After a long trajectory with protests and lawsuits of local residents and environmentalists, the club was finally allowed to keep the stadium in its current state. There are two more stadiums that carry the name Red Bull Arena, both also occupied by Red Bull-owned clubs. One stands in Leipzig, and the other in New Jersey. 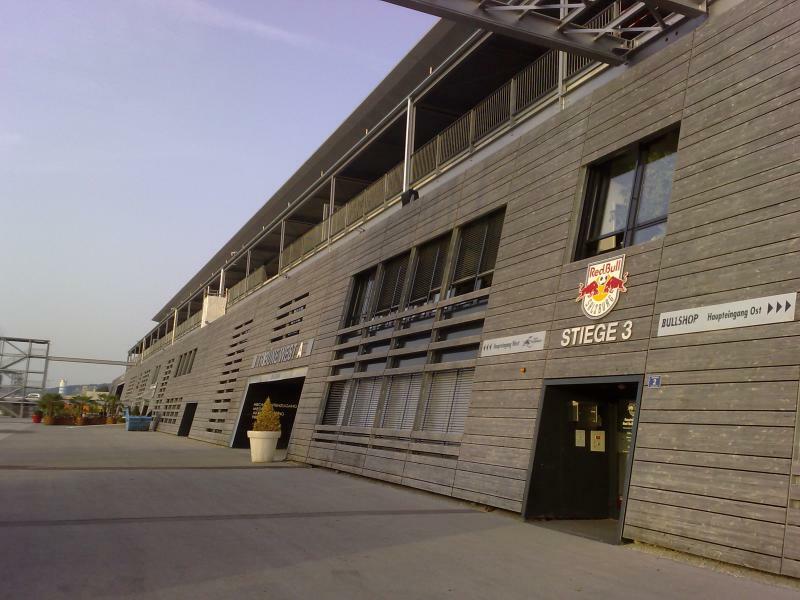 The Red Bull Arena is located in the west of Salzburg, approximately 4.5 kilometres from Salzburg’s historic city centre and at a similar distance from the main railway station (Hauptbahnhof). The stadium lies adjacent to the A1 motorway. Take exit 293 toward Kleßheim. On matchdays the club offers a shuttle service to the stadium from Salzburg’s conference centre (Messezentrum), further north along the A1. If arriving by public transport, the Red Bull Arena can be reached with O-Bus 1 from the main railway station. Take the bus in the direction of Kleßheim Kavalierhaus. The ride takes about half an hour and on matchdays transport is free if in the possession of a match ticket. Buses run every 20 minutes and pass through the historic centre at the Ferdinand Hanusch Platz. The Red Bull Arena is located on an office, retail, and industry park next to the A1 motorway. If gambling is your thing, you might be thrilled to have the Casino Salzburg in the picturesque Schloss Klessheim castle next door, but options for eating and drinking are limited around the arena, which is better done in Salzburg’s lovely historic centre. There are two hotels close to the Red Bull Arena somewhat up the road in the Siezenheim village, both not more than 15 minutes walking away: Landgasthof Allerberger and Hotel Gasthof Kamml. Click here for an overview of the hotels near the Red Bull Arena. Most people will decide to stay more central in or near Salzburg’s city centre though, where there are plenty of options. 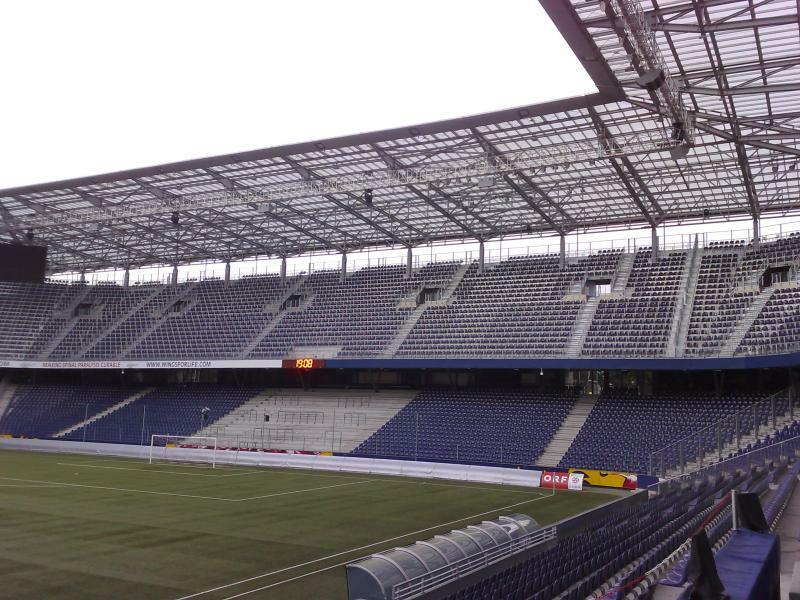 Tickets for Salzburg matches can be bought online, or at the Ticketing Center at the stadium. Tickets can also be bought at the stadium on the day of the match. Red Bull Salzburg rarely sell out. Tickets for a standing place cost €16.00, whereas the price for a seat ranges from €18.00 for the lower-tier corner sections to €33.00 for the upper-tier long sides. Tickets for a few high-profile matches cost €4.00 more. For more information call +43 (0) 820 820 102 or email soccerrbs.tickets@redbulls.com. 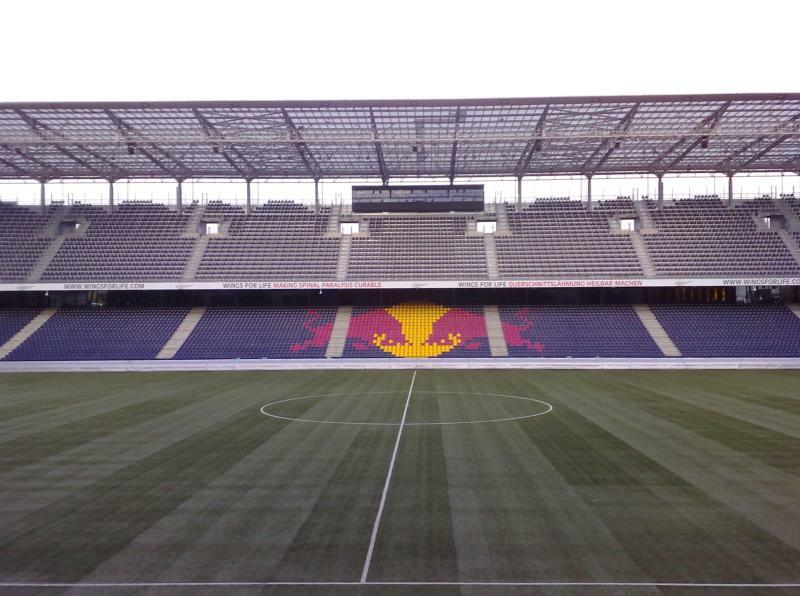 Red Bull Salzburg offer guided stadium tours that include visits to the changing rooms, players’ tunnel, press centre and VIP areas. The tours last about 90 minutes. Tours run every Saturday at 10:00am except matchdays. Tours can be booked through the online form, or at the Ticketing & Service Center at the stadium. Redbulls.com – Official website of FC Red Bull Salzburg. Salzburg.info – Website of the Salzburg tourist office. SVV-info.at – Information on Salzburg public transport. OEBB.at – Austrian public transport journey planner.